An opportunity to meet professors, students and professionals in the field of design, many of which are former students of IAAD. During the info day, the referees for guidance, professors and students will be available to give further information and clarifications on study programs, enrolment requirements, internships and job perspectives. You can apply to participate here (link). submit your application for the course/s you are interested in. You must send (by mail or e-mail), your CV, with a description of the studies you have completed and your past experiences, a statement of purpose and a small portfolio with your work, in case you have one. You will find the application form and further instructions on this link. Pass the entrance exam. International students can have their interview and take the entrance exam via Skype. You can find further information on the entrance exam, and the application form on this link. 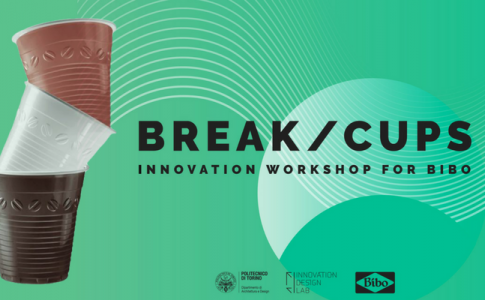 Break/Cups has been an Open Innovation project organised by the Innovation Design Lab (IDLab) for Bibo, the leading company in the production of disposable plastic for the food market. The workshop involved 28 2nd and 3rd year-students of the bachelor’s degree in Design and Visual Communication and students of the master degree in Systemic Design of the Polytech of Turin (Politecnico di Torino) with the aim to develop a new and modern concept of the disposable coffee cups, trying to innovate the product, its communication and the services for its distribution and employ. Starting from the needs , the problems and the productive limits, the lab guided the team from the definition of an analysis of the canvas and the pertinent guidelines up to the design of the final concepts. The project teams developed 7 concepts on the theme of the research. These letter brought to the prototypal development of 3 disposable cups for vending machines, which currently are in an engineering phase for the beginning of the production, where team members succeeded in adding value and innovating different aspects which ranges from gestures, to spreading contents up to giving value to the consumed drink. 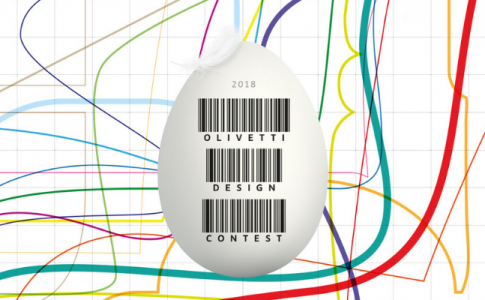 10th May 2018, 11.00 a.m.
Paola Villa, Head of Marketing for Bibo Italia S.p.A.
Paolo Di Santo,CEO Bibo Italia S.p.A.
Students of the Design Curriculum will be present. SM’Art, a furniture company based in Orbassano, launched yesterday the first edition of the contest “SM’art projects” (Progetti SM’art) for young creative designers who had attended design classes and art schools of the region. 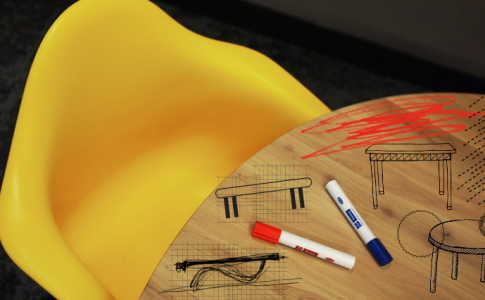 The task is to make a project of a furniture table, entirely realised with the materials produced by the company. Participants in the contest must be 18 or older. The contest is open to individuals and small groups (up to 3 members). The draft, which must be original und unpublished, pain of exclusion from the contest, shall be accompanied by a short presentation of the project. Participants will be showed SM’art’s materials on the holding, an executive will be at their disposal for the technical details and for the provision of useful samples. Registrations within 30th June through form. Delivery of the prototypes within 15th October. Further information is available on the notice of competition (bando). For the IAAD, Institute of Applied Art and Design of Turin, it’s orientation time. What better time than the Info Days to visit the new facilities and to get to know better the offered courses of studies? The Info Days will be a precious opportunity to understand if the design path is the right one for you. Info Days is not only information, it is also dialogue and meeting: with professors, students and professionals of the design world. A moment to come in contact with the design made in IAAD, see the projects done by the students and the collaborations with partner companies. During the Info Days, the representatives of the orientation, the professors and the students will be available to participants in order to give more information and explanation about the courses of studies, enrolment requirements, internship and job opportunities. Book now your Info Day! Fabriano has been appointed UNESCO Creative City, and in 2019 will host the 13th Annual Meeting of the Creative Cities Network, a network that brings together Bologna, Pesaro, Rome, Carrara, Milan, Turin, Parma and Alba. 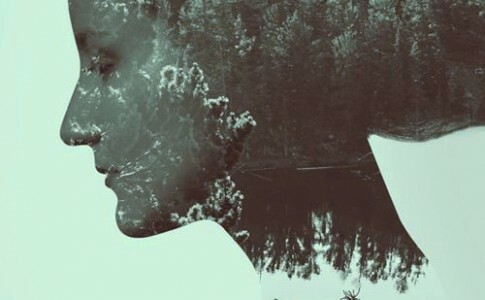 The project has been approved by the UNESCO, and it aims at creating connections and interchange between the cities that have made the cultural creativity a cornerstone of their economic development. The Network operates on seven different cultural areas: Crafts, Arts and Folklore, Cinema, Design, Gastronomy, Literature, Media Arts and Music. Precisely on these topics, cities will be able to debate, share their own experiences and enhance their cultural products increasing their diffusion on the national and international markets. In anticipation of the Annual Meeting UNESCO Creative Cities, in 2019, the Aristide Merloni Foundation, in cooperation with the Comune di Fabriano, has established a competition announcement for the design of the official logotype (coloured, free technique) for the event. The logotype will be present on the notice, signage, editorial production, website and any other material that has the communicative intentions proposed in it. 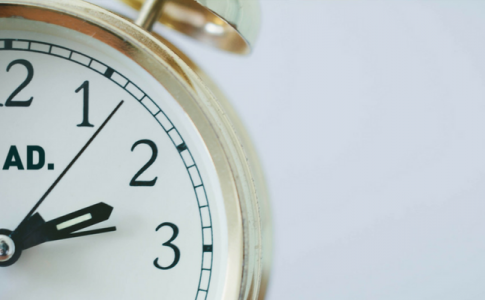 It is possible to send your own project until 6th April 2018. The regulation and more information are available on the website of the event, in the page dedicated to the details of the announcement. IED Torino recently inaugurated the new spaces for the Fashion School in a dedicated venue (Corso Matteotti, 11 – Turin). 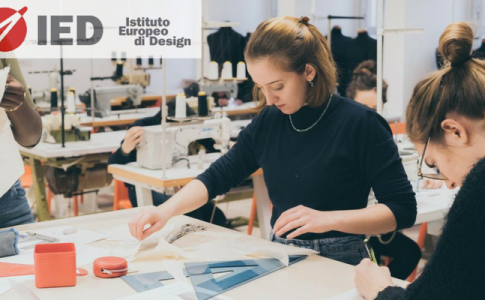 The Academic Courses in Fashion Design and Jewelry and Accessories Design have been renewed with a focus on distinctive content and research areas. The new cultural orientation today follows a path whose focus is research and innovation on materials and fabrics of the latest generation. The spaces, in addition to the new classrooms for front lectures, also include a tailoring workshop, fabric library and Cintiq classroom with 25 Dell Alienware and Wacom Cintiq 22HD workstations equipped with the latest generation software for Clo3D fashion design, useful in simulation and three-dimensional modeling. The inaugurated spaces are IED Torino’s response to a growing need for the headquarters to have more and more avant-garde laboratories equipped to support collaborations with the most innovative companies in this sector. IED inaugurates in Turin IED mobility lab – a laboratory for innovation and development on the mobility of the future. The objective of the participatory research laboratory is to investigate the role of design in relation to different themes, such as the movement of people and things and the relationship between transport systems and cities. At the head of IED mobility lab Luca Borgogno, Design Manager Pininfarina, an ex-student who has been working for years with the headquarters and whose professional experience, developed over twenty years of activity culminating in Pininfarina and Lamborghini, has always focused on research activities on the mobility of the future. With the start of the IED mobility lab activities, the Turin office confirms for the 15th year the participation at the next International Motor Show in Geneva, presenting the latest concept car created by the historic Master in Transportation Design in collaboration with the European Design Center Hyundai. The concept is also the result of the project participation initiated by the headquarters with a selection of leading international companies: Sila Group, project partner, Sabelt and Protocube Reply, technical partners. For more info visit the IED Torino website. The Politecnico di Torino offers students, who study Informatics Engineering, Cinema and Media Engineering and Design, a series of meetings and workshops by Steve Della Casa, in order to choose the best ideas for the Format Festival in May 2017. FORMAT is a festival for the promotion of transmedia projects (animations, gaming, short films and documentaries, audio-visual installations, carried out by the Politecnico’s students). The first appointment is on Wednesday, 16 November, 2016, from 11:30 am to 2:30 pm in the lecture room 2T in Corso Castelfidardo 30, A. The following meetings are scheduled on 21st – 23rd – 28th – 30th November and on 5th and 7th December 2016. On Monday the 21st , the 28th and 5th , the meetings will be held in the lecture room 5T from 8:30 am to 11:30 am.